On paper, Mega Run is the kind of game that I’m inclined to avoid. 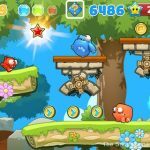 It’s unoriginal – yet another 2D runner – and, although free, involves in-game currencies that can be purchased with real-world money. When I picked it up and had a go, I was very pleasantly surprised. 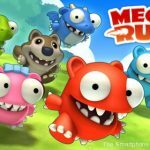 Its simple mechanic, one-touch controls and frantic pace make Mega Run an engaging distraction, perfect for filling spare moments. 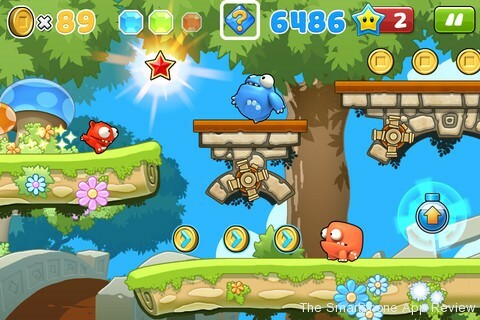 In the game, you race across a colourful landscape, pressing the screen to jump from platform to platform. If you fall between platforms or clash with one of the game’s varied enemies, you’ll have to start the level again. Unless, that is, you use a save star, which places you rushing back through the scene where you left off. You begin with a limited number of save stars, but can earn more by levelling your character up or purchasing them in the store. Levelling up brings other perks too. Every time you level up, you’re given access to something beneficial. As well as save stars, you can unlock new power-ups in the store. These items appear throughout the stages as you play them, giving you short bursts of help – from a magnet that pulls in the coins dotted around the stage to an item that temporarily quadruples your size, allowing you to crash through some of the more difficult parts of a level with ease. These items add variety, and unlocking them through levelling up adds a huge incentive to replay levels. Every time you run, you earn XP. Earn enough XP and you’ll level up – therefore, the more you play, the wider the variety of items you’ll unlock. Also key to the game experience are its coins. 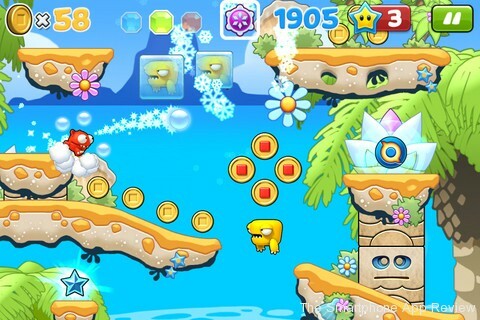 Each level is filled with coins to collect. The more you collect, the more items you’ll be able to afford from the store. 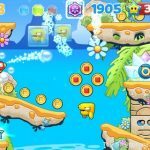 Coins are cleverly placed, helping to establish enjoyable lines through levels, and – as with the XP system – boost the game’s replayability. You can also buy coins with real world cash, but it’s unlikely that you’ll ever need to, given the wealth of coins within levels. 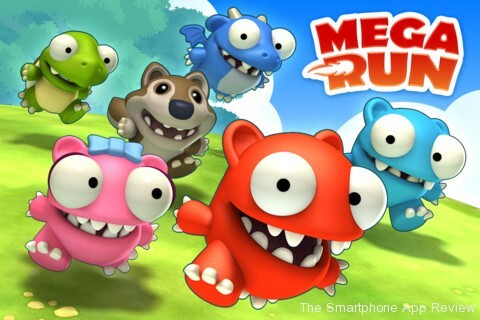 Overall, Mega Run is a fantastic time-waster. It’s free, accessible to all ages and incredibly engaging. Its brilliant design, longevity, frantic pace and high level of polish make it very easy to recommend.